The nation’s largest trade group has set its sights on a new source of funds for its political activities: multiple listing services. 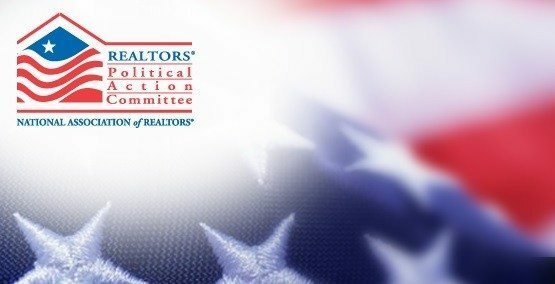 The board of directors of the million-member National Association of Realtors has approved new policies for the fundraising structure of its Realtor political action committee, RPAC, including a new program to solicit “soft dollar” funds from a group NAR has not formally targeted before: MLSs. One of the main reasons behind the new RPAC policies is a 2010 U.S. Supreme Court decision, Citizens United v. Federal Election Commission, striking down restrictions on independent expenditures by corporations. In 2011, that ruling lead NAR’s board to approve a controversial $40 annual dues hike for members, raising dues 50 percent from $80 to $120, in order to maintain the trade group’s influence with lawmakers. But that increase was not enough, according to NAR. “Citizens United changed the way politics is done today. Unlimited funds can now be spent through corporate dollars,” said NAR Vice President Mike Ford. MLSs have always been able to contribute to RPAC, but in 2013 only 23 MLSs chose to — just 3 percent of the nation’s 800 MLSs, according to NAR. The trade group is asking MLSs to pledge $1 per subscriber per year in 2015. Half of the funds would support candidates at the state and local level that RPAC has identified as “Realtor Party Champions” who support homeownership and private property rights. The other half would go to federal “Champions” in Congress. Contributions are not tax deductible at the federal level. 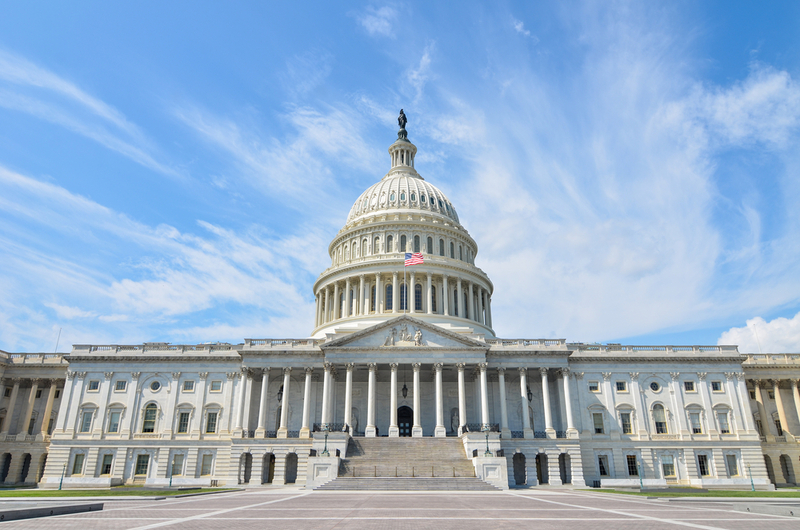 Some of RPAC’s current legislative and regulatory priorities are relevant to MLSs, including patent litigation reform, copyright protection, net neutrality, and privacy and data security, NAR said. “Anything legislatively that impacts a healthy real estate environment will ultimately impact (MLSs’) business model. If we’re selling fewer and fewer properties,” then fewer of their members will do business and fewer will therefore subscribe to the MLS, Ford said. As part of the new program, MLS execs will be incorporated into NAR’s advocacy governance structure, specifically its Corporate Investor Council. First and foremost, those on the council will be expected to help get more of their MLS brethren to participate in the program, and secondly, to share legislative concerns that could impact their business, Ford said. While NAR would like every MLS in the nation to participate in the program, it is under no illusion that all will, Ford said. He anticipates that MLSs’ ability to contribute will be impacted by their tax status — whether they are nonprofit or for-profit, for instance — and by their size. As part of NAR’s new core standards, each association will be required to include a voluntary contribution for the RPAC in their dues billing or themselves make a corporate contribution for the full amount of the goal. When NAR gave a presentation about the new program at the Council of Multiple Listing Services’ annual conference in September, there was some grumbling from MLS execs that the trade group was “double dipping,” given that associations and MLSs often, though not always, share the same members. Ford disagreed. “I don’t think it’s double dipping. We’re asking the MLSs to make an investment. How they do that is up to them,” he said. He anticipates that most MLSs will choose to donate from their own budgets rather than adding the option in their dues billing. David Charron, president and CEO of Rockville, Maryland-based Metropolitan Regional Information Services Inc. (MRIS), said he understood the grumbling. “The ‘ask’ that comes from so many different entities never stops. In this instance, though, the ‘ask’ makes so much sense if we as an industry expect to thrive in the future,” he said. MRIS has contributed “modestly” to RPAC in the past, but in 2015 will contribute the asked-for $1 per subscriber, which works out to more than $45,000. “The fact that MLSs can now impact big issues that are impacting our industry is very compelling. Patent reform, copyright, (intellectual property), privacy are examples of issues that industry providers like MRIS can back without hesitation. Who better than NAR to help raise the awareness and lead the good fight?” Charron said. “For those of us who have been involved in these issues in the past, we essentially had to pursue it alone and usually through the legal system. Expensive and exhausting. NAR has an “enviable” track record in the political arena, judging by the number of candidates and issues they have backed successfully, he said. In this month’s midterm elections, for instance, 11 of the 13 candidates the trade group contributed to the most won their races. Charron urged MLSs who argue they are already contributing or there is “double dipping” to reconsider. “What happens if significant changes hit the mortgage interest deduction? What happens if patent reform fails to occur? Do we again get to shell out millions to an entity that received a patent that should never have been awarded in the first place?” he said. Charron was referring to a licensing agreement negotiated by NAR with CIVIX-DDI LLC, a company that holds several patents on location-based Internet search techniques, after CIVIX sued a number of companies including MRIS and Lisle, Ill.-based Midwest Real Estate Data LLC (MRED). Shelley Specchio, CEO of Reno-based Northern Nevada Regional MLS, is also aware of the “double dipping” argument. That is why the 2,600-member MLS is careful to allocate its investment in RPAC from profits from non-dues revenue, she said. NNRMLS contributed last year and plans to do so again in 2015, not based on a per-member formula, but on what is “appropriate to the health and stability of our organization,” she said. “Obviously, we support our industry and see value in the national association’s efforts to safeguard homeownership and private property rights through political action,” she said. MRED donated to RPAC for the first time last year, though not at the $1 per subscriber level. The nearly 40,000-member MLS will donate again this year, but hasn’t decided how much. “While MRED is not a NAR MLS due to our broker ownership aspect, all of our customers are Realtors. We have identified RPAC as important and effective to our business interests, and also as a great benefit to our customers,” said Jeff Gregory, MRED chairman of the board. Having a voice in setting NAR’s public policy agenda is also “extremely important” to MRED, he said. “When supporting such an important initiative, we look forward to becoming a part of the decision-making process. Such participation will further protect the interests of MRED and its customers,” Gregory said. Jim Harrison, president and CEO of Silicon Valley-based MLSListings Inc. is also looking forward to bringing MLS-specific insights to the table. “We have been in service to real estate professionals longer than any other entity. We understand their issues and in many cases, share them,” he said. He himself has been a “Golden R” contributor to RPAC for the past 10 years. MLSListings will donate to RPAC for the first time in 2015, contributing $1 for each of its 16,000 or so subscribers. The MLS will treat its support as a line-item business expense, Harrison said. Merri Jo Cowen, CEO of My Florida Regional MLS, said her MLS had contributed to RPAC for the first time this year. The new program is “worth reviewing” and has potential benefits for MFRMLS’s more than 39,000 members, she said. “I support the concept fully, but it will be up to our board of directors to make the decision on further contributions,” she said. NAR’s board passed other policies impacting RPAC’s fundraising structure. Starting in 2015, the trade group will have one, national, needs-based RPAC fundraising goal for all associations that will cover two years and be split evenly over the two years. This will replace the “fair share” fundraising structure that RPAC has had since its inception 46 years ago. The “fair share” goal and the way it was split up — 70 percent to state associations and 30 percent to the national association — were arbitrary and had no relevance to RPAC’s financial needs, NAR said. Effective Nov. 11, the overall fundraising goal for RPAC is $18.4 million total for 2015 and 2016. Of that amount, state associations are expected to contribute $10.47 million with the remainder made up by “Realtor Party” dues funds. In order to calculate how much money RPAC needed at the federal level, the RPAC Disbursement Trustees Committee, a volunteer group made up of 17 Realtor members, determined which races the trade group would contribute to over the next two years, Ford said. “What we try to do at the federal level is (see) what races we can have an impact in. They have to be a Realtor Champion of ours first of all,” he said. NAR doesn’t do any negative campaigns, he said. Why? “It’s just sort of who Realtors are. We want the public and the members to understand why it’s important to vote for somebody, not why it’s important to vote against somebody,” he said. All state associations were given a needs-based goal of $5.03 per member per year for 2015 and 2016. That $5.03 is likely not what will appear in the dues billing statements of members, however. “All of (the associations) are going to put something higher because … they’re also raising funds to help them in their statewide campaigns and their local association-wide campaigns, and it will vary from state to state,” Ford said. The amount will also be higher because not all members contribute, he added. The contributions are voluntary. There is no penalty for not contributing. There is also no penalty to state associations who do not meet their goal. About 30 percent of NAR’s members contributed to RPAC in the year between Nov. 1, 2013, and Oct. 31, 2014, donating $6.64 million, Ford said. “That’s just what (state associations) sent to us. They raised approximately $28 million across the country,” he said. The structural changes mean that states could have an opportunity to keep more of the funds they raise for state and local races, even if they don’t ask their members to contribute more, according to Ford. “We’re already raising more funds now than what the new goal is for next year. Our goal for 2015 is $5.2 million and … what they sent to national association [in 2014] is $6.6 million,” he said. The previous 70-30 split between the states and NAR has been eliminated except for donations of more than $1,000. This means that after states have met their needs-based goal, they can decide to either continue sending funds to NAR or retain the funds for their own political efforts, Ford said. David Phillips, CEO of the Pennsylvania Association of Realtors, said he does not anticipate any change in the amount of funds spent to support Realtor Party candidates in Pennsylvania. He also believes most members will not see any change in the amount their associations ask them to contribute to RPAC as a result of the policy changes. NAR's candidates won big in the elections. That doesn't mean Realtors will get their way.